A professional paint job can improve your curb appeal, help you sell your home, or give a room in your house a brand-new look and feel. B.E.S. Painting offers you all the painting services you need to improve your commercial or residential property. Whether you just bought your dream home, you&apos;ve decided to give your home a much-needed makeover, or the paint on your walls is just plain old, B.E.S. Painting has the interior painting services that&apos;ll enhance your property. Although painting a house may seem like a straightforward task, it can be a messy process. For this reason, we put tarps down to protect your space from splatter and other messes. Our ultimate goal is to leave the job site as clean as we found it. Once the site is protected, we take a look at our canvas to see if there is anything that needs to be done before we paint. After all, no amount of paint can hide a hole in the drywall, so we&apos;ll fill any holes. Once the area is primed, we&apos;ll paint your walls and ceilings with two top-coats. While we typically use top-of-the-line paint and enamel, we will use any paint that you prefer. We also stain baseboard casings, window trips, and doors. If you want a custom design or logo on the wall, we can recommend an artist. Once we&apos;ve taken care of the interior, you may start thinking your exterior could need some work as well. After all, you want the outside to look as nice as the interior. Maybe all you want is for the exterior to be painted. Either way, we&apos;re happy to oblige. The most important part of painting is the preparation process. That&apos;s why we take the time to sand and scrape all the dry wood with primer. Afterwards, we&apos;ll nail set everything and then sand and caulk any areas that are peeling. Once that is done, we pressure wash the house and take steps to protect the areas that shouldn&apos;t be painted with plastic. This is to prevent any water from traveling to where it doesn&apos;t belong. We also treat any peeling or failing area with Peel Bond Primer. After prepping, we&apos;ll use water-based stain on houses where oil-based stains were used originally. Using water-based stain allows you to double the life of your paint, so you&apos;ll be able to get 5 to 7 years out of it. Our preferred stain product is called ARBORCOAT, which is available through Benjamin Moore. We then use two coats of high-end exterior paint or stain. We work hard to ensure we do the job right the first time so that we don&apos;t have to return to fix a problem. So far, we&apos;ve been successful in this. However, we do carry a limited lifetime warranty so you can be assured that if something ever fails and it&apos;s our fault, we will take care of it. Those cabinets were in style when they were installed, but now, you might be tired of looking at them. B.E.S. Painting will use our several years of experience to transform those cabinets into a custom piece you&apos;ll love while saving you money. Refurbishing cabinets is a very messy process, which is why we take precautions to protect your home. We will seal off the kitchen so no dust will get inside the rest of your house, and we&apos;ll use high-end dust-extraction sanding tools. Once we&apos;re done protecting your home, we&apos;ll custom stain, refinish, sand down, and re-stain the surface. Our most popular service is cabinet refinishing, where we tint your cabinets in your shade of choice. We can even put on a painted clear coat of lacquer. Let us give you the best options and save you thousands. The time it takes us to finish our work depends on the size of the kitchen and whether you are living in the house. On average, the process takes one to two weeks. B.E.S. Painting knows there are many benefits to using lacquer. It can provide your home or business with the perfect finish. It can also protect your home from abrasions, acid, alkali, and water, keeping it looking better longer. In fact, lacquer has more durability than modern paint. If you don&apos;t want to change the color, we can use a clear lacquer. 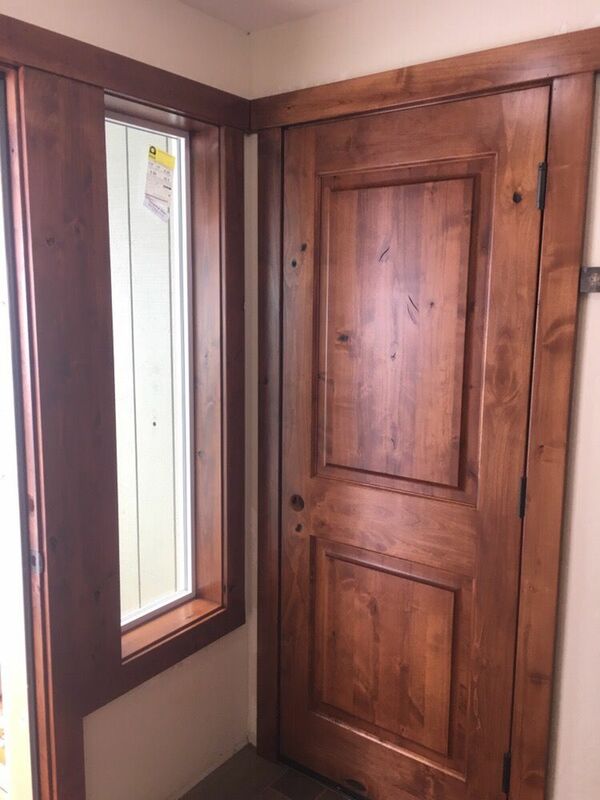 Our several years of experience, along with the use of our safety products, also make it easy for us to stain all baseboards, new doors, and window trims in your home. If you&apos;re looking to give your property a touch-up, let B.E.S. Painting provide you with the lacquer services you need. Our lacquer packages are perfect for new businesses, new construction, or remodeled properties. What we offer is completely determined by what you want to get done.